Christmas is less than a week away but if you live life on the edge and haven't finished your shopping yet, I've got you covered. These gifts are all easy to pick up last minute on the high street and are cute enough that you can pretend you put in more effort than you did. My idea of a good Christmas present is basically anything cosy or star print, especially treats you might not buy for yourself. Is Hygge still a thing? I think novelty gifts are a bit wasteful so useful things like pretty Christmas decorations or kitchenware make more thoughtful presents. This is especially true at my age where most of my friends have recently moved away from home and haven't filled up their new houses with stuff yet. One year (and four months, didn't sort my life in time) ago I graduated from Durham University and was thrown into the real world, one sociology degree up and almost £50k of debt down. As someone who is typically organised and strictly on time, a post graduate year that didn't exactly go to plan has been a challenge for me. Time for a self indulgent life update that no one asked for! It's 2018 and cow's milk isn't cool anymore. It's cruel to cows, harmful to the environment and quite frankly, tastes boring. There are so many dairy free alternatives available now that it's hard to know where to start, but I've tried and tested just about all of them over the years in the interests of market research (read: any excuse to buy new things) so here's the low down. Love Island fever is in full swing, yay! Socialising after 8:45pm (time to make a cup of tea first) is nationally cancelled until August as we all sit down to enjoy a summer of bikinis, bitching and Peng Sorts. 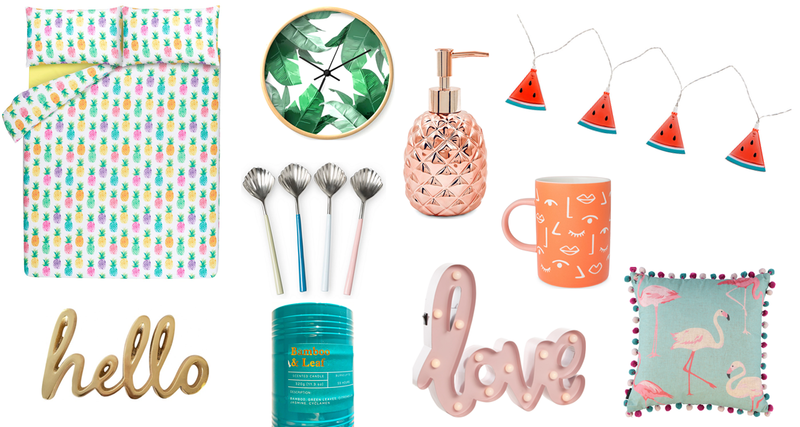 Since I'm not heading to a glamorous Majorcan villa any time soon, I'm getting into the Love Island spirit with a tropical homeware update. I've gone for a slightly toned down approach as I imagine wall sized fluorescent canvases might be headache inducing and I have no real need for a selection of lilos in my city apartment. This summer, I'm enjoying all things flamingo, pineapple and palm print (groundbreaking). Mysteriously, I couldn't find any wall stickers exclaiming 'Get Laid', 'Grafting' or 'Under Cover Lover' in Ikea so I've chosen some slightly less aggressive decorative signs. Cute, right? At the start of April, Calum and I flew to Barcelona for a 3 night city break. I chose this destination because neither of us had been before, it's fairly warm in April and has plenty to do being a city by the beach. Other than getting really burnt in 22 degree heat (damn pale skin), I thoroughly enjoyed the trip and would definitely go again! Barcelona has the most beautiful architecture so I thought I'd show some of my favourite photos and share my recommendations. Living in a city is amazing for foodies. Growing up in a small town, the dining options were either Wetherspoons, a seedy takeaway or the latest coffee shop trying to make a living before inevitably closing down within a month. I could just about scrape a vegetarian meal but would feel uncomfortable troubling anyone for a vegan meal. Birmingham has every chain I can think of, usually three of every chain, as well as so many wonderful independent cafes, restaurants and markets. I may be slowly dying from all the pollution I'm inhaling but at least I'm eating well. As a vegetarian dabbling in veganism, it's really helpful that the city has so many options to choose from and it's never a problem finding something I can eat. I previously wrote the post Where to Eat in Birmingham, which mentions some of my favourite places to eat, but I've since found so many more that I'm back for round two. 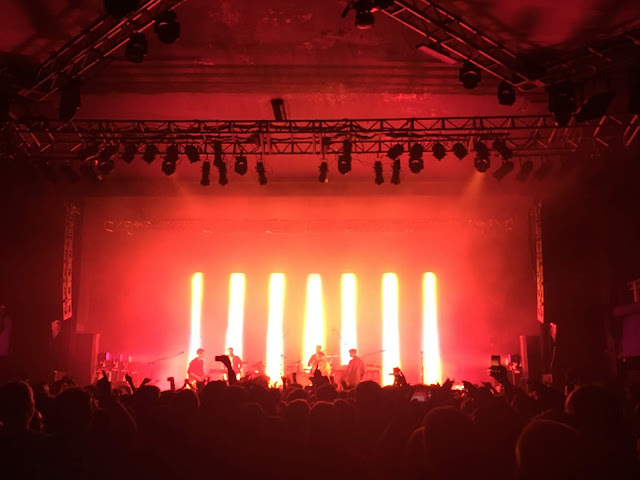 Last week, the lineup release for Wireless Festival in London caused a stir online when Lily Allen took to Twitter to call out its major lack of female artists. The full lineup hasn't yet been confirmed but based on the promo posters so far, less than 10% of the artists featured are female - there are literally only three women on the bill. Seriously. Wireless is mostly a chart pop and hip hop festival, genres which so many big name female artists fit into, so it's not like organisers had no choice but to fill the bill with men. So what's going on? One of my goals this year is to read more books. In my 30 Before 30 Bucket List, I said I wanted to actually read the books piling up on my shelf, rather than being seduced by the offerings in Waterstones faster than I can get through them. I've been making an effort to spend about 45 minutes each night reading and I've completely fallen back in love with books. I had the hopeful aim of reading two books a month but during January I've already managed three! Is rose gold still cool? I think so. Lately I've been so drawn towards pink with metallic accents when shopping for homeware, specifically this 'Millenial Pink' blush tone. IT'S SO PRETTY! I went through that whole "pink is just for little girls" phase in school but now pink is back and I'm ready to smash the patriarchy AND like pink. Crazy, huh? Calum is less enthused that our flat interior is beginning to resemble a bag of marshmallows, but what can you do. After seeing Hannah Witton and Samantha Maria posting this tag on YouTube, I thought I'd write up my own goals for the next decade. I have a tendency to give up on New Years Resolutions so I'm hoping this way I'll be able to tick off more! I've listed my 30 goals to achieve before I turn 30 here so I can look back on them over the years. 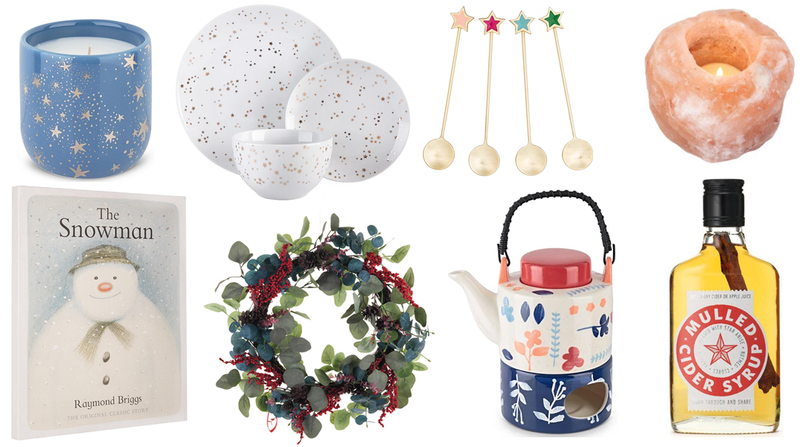 5 Blogmas posts already? Consistency? Who is this new me? After my last post chatting about my Makeup Favourites, I thought I'd follow up with the skincare addition. I'm absolutely committed to a proper skincare routine. I strictly always remove my makeup before bed and am notorious for shouting at my friends for using face wipes. I've tried a few different products over the years but don't mix it up too much for fear of angering my skin, so my routine has been roughly the same for most of 2017. After another year of hoarding way too much makeup for someone with only one face, I've rounded up my tried and tested favourites to share with you. My friends often ask me for beauty recommendations (so really, buying so much makeup is essential for helping others...) so if you're in the market for something shiny and new, here's the best of the best. I wrote a highlights post in 2015 (read it here) and really enjoyed looking back and reminiscing, so thought I'd post a new version for the enjoyment of future me. 2017 has been the year with the most changes in my life (nothing too dramatic, don't get overexcited) and possibly my happiest to date. Although it's been a rubbish year for the world, and Jezza still isn't the Prime Minister, it's nice to take a break and have a more cheerful piece of internet to read. (If you do like raging political angst, you can follow me on Twitter @TheAnnatations #ShamelessSelfPromo). Here's the best of 2017! 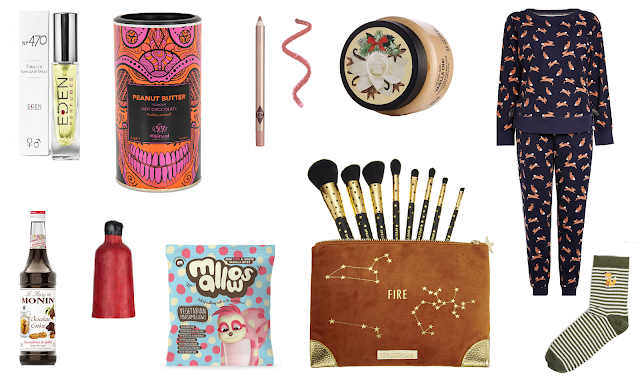 Cruelty free Christmas shopping? Completed it mate. Today is December 1st, marking the official start of the festive season. Admittedly my tree has already been up for a week and I've been making my way through the Costa Christmas drinks, but now I can finally indulge in the festivities guilt free! While we all know I won't commit to Blogmas, I have a few ideas for Christmas content throughout the month. Today, I want to share with you a festive campaign (not sponsored, just a good cause) in support of the wonderful charity, my friends School-Home Support. After 3 of us carved Halloween pumpkin lanterns at my flat last weekend, I was left with A LOT of orange guts to use up. Rather than wasting what was actually a decent amount of food, I set to work in the kitchen. I've put together three super easy yet tasty pumpkin creations with hopes of encouraging more people to cook up their leftovers instead of throwing all that autumn potential in the bin. (I actually attempted a fourth recipe but it was somewhat of a disaster so we won't talk about that...) They're also all vegan friendly which is always a bonus! If you know me, you'll know I'm somewhat of a crazy makeup lady. I've tried A LOT of different products and as a result, I have a good idea of which items are worth your money and which are a waste. Obviously, if you don't want to spend much money on makeup at all then that's your call, but if you enjoy a more luxury purchase here and there (and everywhere, oops) then this is where to hold on to your pennies rather than splash the cash. I've been living in Birmingham for almost two months now and our little flat is finally starting to come together. It's rented and part furnished but our landlord has quite a different taste in interiors to us, so we've hidden as much as we could fit into the cupboard and bought our own furniture. The black shelf unit and side table were too big to hide so do excuse those ruining my theme here! 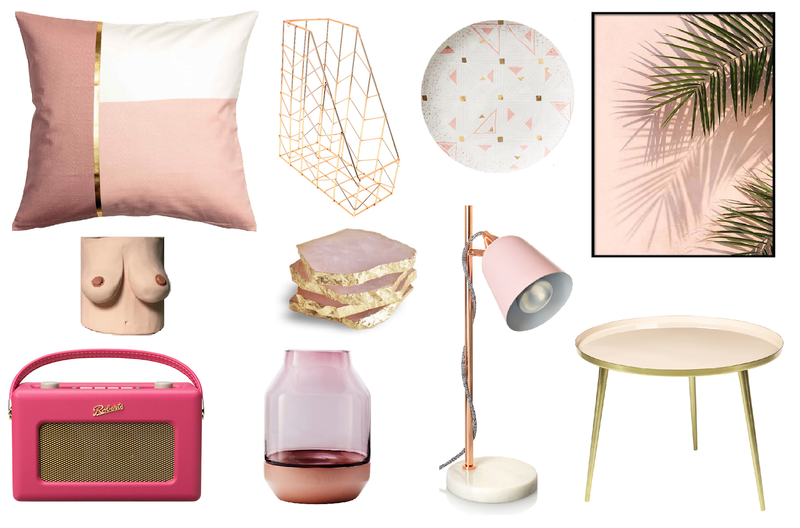 In typical blogger style, my current taste is fresh white backgrounds with pops of pastels (hello millennial pink), copper, marble and lots of green plants - original, I know. I'm already looking forward to buying a proper house but until then, this feels like home. Copyright: Anna Barnard Wright. Powered by Blogger.